Allow your kitchen remodel 12 weeks. We always hope we can get a kitchen done in 8-10 weeks, but as we mentioned in Part 1, unknown complications can and do happen. Live through it. We will try to keep your sink and appliances in for as long as possible, however, you may go a day or two without a sink during counter install. This scenario usually adds a lot of stress to a family and can sometimes make the kitchen renovation process longer. Demo day. Kitchen renovation demo day is the day that you say goodbye to your cabinets, counters and any walls that are moving. Usually, any of those unwanted surprises reveal themselves during demo. As stressful as a time it may be, it’s worth every week and every penny once you’re sitting there hosting your first party and showing it off. Turn to a design professional to help you think of all the little things you might be overlooking. You may think you can’t afford it, but I guarantee you will end up spending the same amount in overlooked items that can end up costing you time and money. Our staff is dedicated to helping you pick out a sturdy cabinet that will stand the test of time, counters and a backsplash that won’t date itself in a couple years and lighting that will make the room cozy and functional. What is it with everyone wanting a kitchen renovation? 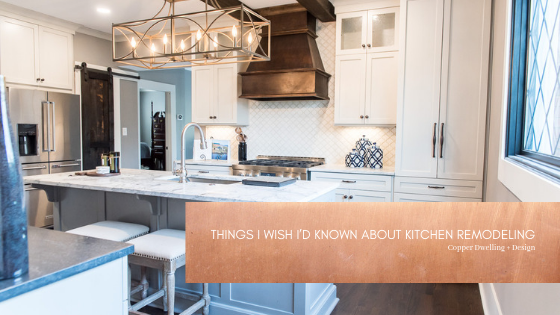 Well, I’m the first to tell you, any kitchen is the heart of a home, so it makes sense that everyone wants to update their kitchen. It’s where you gather for dinner with family, where homework is completed, where drinks are poured and stories with friends happen. And in my home, it’s where a party ends up, whether you want it to or not. Twelve weeks after you utter those ten-infamous words, you have the most amazing kitchen. You’ve gotten rid of those awful laminate counters, you’ve utilized that wasted space in the corner. You no longer have a peninsula that juts out in the middle of the floor and divides the space up. You’re sitting at your new island staring into a phenomenal new backsplash and sipping on your pour over coffee made with your insta hot water system you installed. All is well in the world. What is the cost of a kitchen renovation? More often than not, kitchen renovations start with 10 simple words and the unassuming belief that a kitchen renovation is an easy undertaking. “I want some new cabinets, counters and maybe re-configure the layout.” But what most clients don’t realize is that those 10 words can cost $35,000 before you know it. I’m here to break down what you can expect when you utter those 10 words, and to explain how we come up with that kitchen renovation cost. Flashback 12 weeks to the start of your kitchen remodel project… We’re excited--we’ve come up with a plan and it’s time to crunch numbers. We have setup a plan to carefully manage the design & installation process, timeline, and budget. It’s obvious that the new counters will cost you, the new cabinets, and maybe the new appliances but what about the hidden kitchen renovation costs that you were not expecting? When reconfiguring a space, a good interior designer thinks ahead about moving electrical, plumbing, what the floor looks like underneath that cabinet that you moved, and the fact that now the layout of your lights in the ceiling makes no sense. Next thing you know, you’re watching all the upgrades take place, and you think “Gosh, it sure would be nice to have some under cabinet lighting and a few extra can lights in here”. Or “I think we want to add a garbage disposal and an insta hot system to the sink”. And “Man, the trim in the rest of the house looks dirty compared to the new trim in the kitchen.” Before long, those items that you never once thought about, have upped your budget. It never fails. As an interior designer, it’s my job to give you all the information that you need and manage your budget as wisely as possible. Our design team recommends a 20% buffer to our clients for those “extras & unknowns.” Nothing could be worse than having $30k for a project and running out of money because of the unknowns then having to make shortcuts to get the job done. Learn more about the kitchen remodeling process and timeline in part 2 of this blog series. 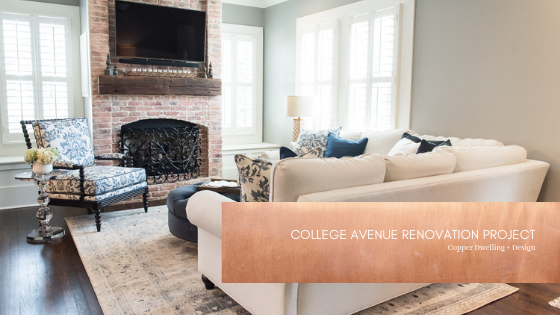 Copper Dwelling + Design’s recently completed project on College Ave was a big undertaking. This historic home, built in the early 1900s, was split into a duplex for many years. 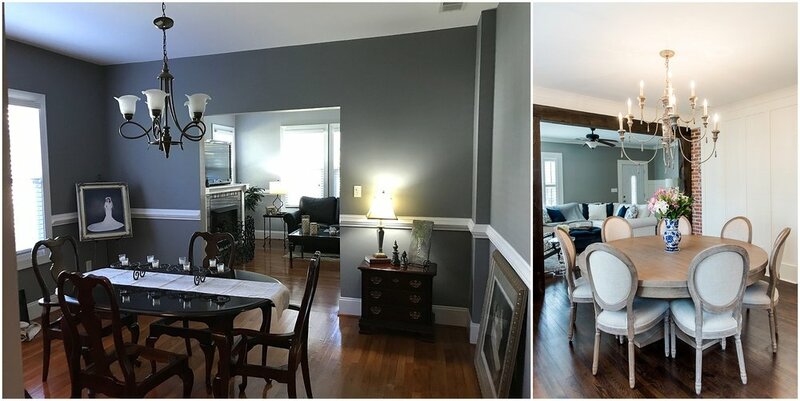 Our clients decided to take back their home and restore it for their own family. The tree-lined streets of College Ave are stunning and compliment this brick bungalow so well! When we presented the project to our clients, there was one main decision that they needed to make; would they move out completely or were they going to live through the renovations? They chose to live through the renovations, so the most important step was to shore up any structurally compromised aspects of this 100 year old home. Addressing fundamental building repairs was important as it allowed us to create a level floor. If you’ve ever owned a historic home, you know just how hard it can be to level floors. Next, we tore down the walls exposing some amazing, and previously hidden, brick features inside the home. The primary goal of opening the home up was to create a clear line of sight through the home from the front entryway to the new back door. The original kitchen was small and dark. By closing off the existing back hallway, we were able to create an incredible gourmet kitchen that is triple the size of the old kitchen. The tudor-style window in the kitchen is probably my top 3 favorite things in the home. This window choice was bold, but strategic, in that it lets in so much light into the space. To create more functional spaces, we added on to the house by creating a new bedroom and full bathroom, and powder room. To accommodate this newly constructed addition, the back door was relocated to the center back of the house. To complete the new back-entryway, we installed a 1920’s inspired encaustic tile floor. We chose a stately black paneled french door which allows light to pour over the gorgeous floors and brighten the kitchen. This area became my number one favorite feature of the home. In the living room, we framed in a custom fireplace over an existing insert to resemble the brick flue that was exposed during demo. 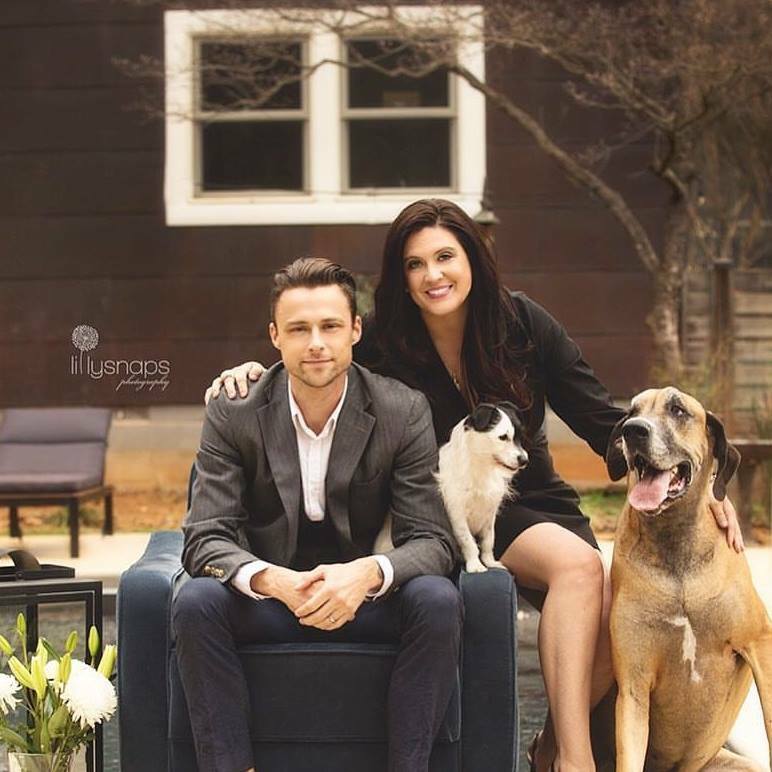 Our clients wanted a farmhouse chic vibe and they picked out an incredible slab of walnut for their mantle. The fireplace married the historic character of the house and tied the look in the living room together to make it feel much larger. The final phase was turning the home from a duplex into a single family unit. We tore down the stairwell wall that was originally only accessible from the outside through a separate entrance and created a side-foyer which gave the main part of the house access to the stairwell. The construction phase of the home took about 10 months to complete. Our incredible clients somehow managed to stay sane while living through it all day in and day out, but we’re happy to report that all of the renovations were worth it! 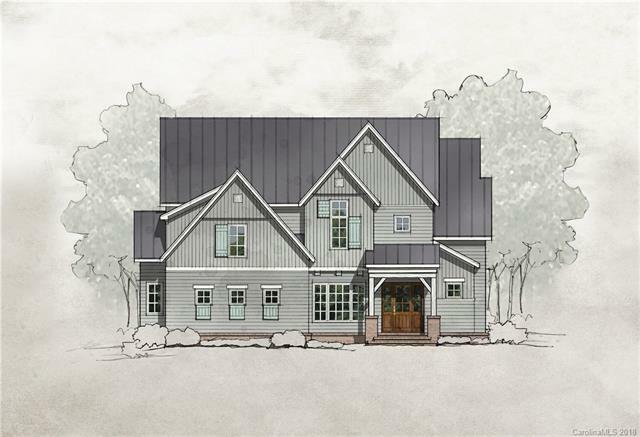 Curious to see what the most expensive houses in York County are selling for?! We’ve compiled a list of 10 homes you have to see! Looking to buy a home? Send our real estate team a message today, click here. This month is jam-packed with tons of fun events! Stop by Slow Play Brewery on Saturday, March 1st at 7PM to here our friend Ephraim S. Sommers playing. One of our favorite meetins for entrepreneurs happens every month. Join the 1 Million Cups of York County meeting happening on Wednesday. •	Knowledge Perk: Any latte (hot or iced, size or add ins) $4. •	Overhead Station: 20% off w/receipt from other participating Shop Small Saturday store. •	Black Crow Pottery: Buy a Black Crow Pottery bud vase by Katherine Petke from Downtown Artistry and take the bud vase over to The Mercantile by Copper Dwelling & Design for a free anemone or cremone flower to go in your vase! •	The Mercantile by Copper Dwelling & Design: Bring your receipt from another participating business and receive $2 off any purchase. •	Amélie's French Bakery & Café: For breakfast: 1/2 price cup of brewed coffee with the purchase of a breakfast sandwich. For lunch/dinner: Free cup of soup OR a free brownie with the purchase of an Al a Carte (full sandwich) sandwich. •	Friends of the York County Library: Buy one, get one regularly priced James Patterson book. •	RoCo - Roasting Company Rock Hill: Bring in a Bike Town receipt for free chips and queso. •	Legal Remedy Brewing: Free brewery tour Saturday at 2pm. •	Joes Video Games: ALL of arcade games will be FREE for everyone to play. •	Bike Town: Free Bike Town water bottle with every purchase of in stock merchandise. Free Bike Town t-shirt with every purchase of $50 or more of in stock merchandise and (an additional) 10% off all in stock Electra beach bikes. •	Nailed It DIY Studio Rock Hill: Bring your receipt from another participating business and receive $5 off any DIY project. •	Jimmy John's will be partnering with Main Street Bottle Shop and offering a 10% discount with the purchase of a classic sub (#1-6 & BLT) and pint of beer. Customer must purchase both items to receive discount, and provide proof of first transaction from either vendor on the same day.